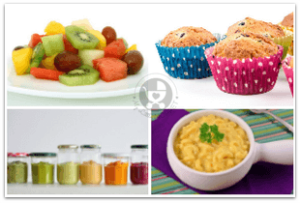 Congratulations, your little one is starting solids!!! This is his first step into the real world, and you want to make it as pleasant for him as you can! In many cultures, starting solids is an occasion to be celebrated, with guests coming over to see baby take his first bite of something other than milk. Now comes the tough part, what should I feed my baby? Since your little one is just starting out, he needs foods that are easy to eat, digest and mild to taste. Not to mention easy for you to make; after all, no Mom wants to spend all night in the kitchen! 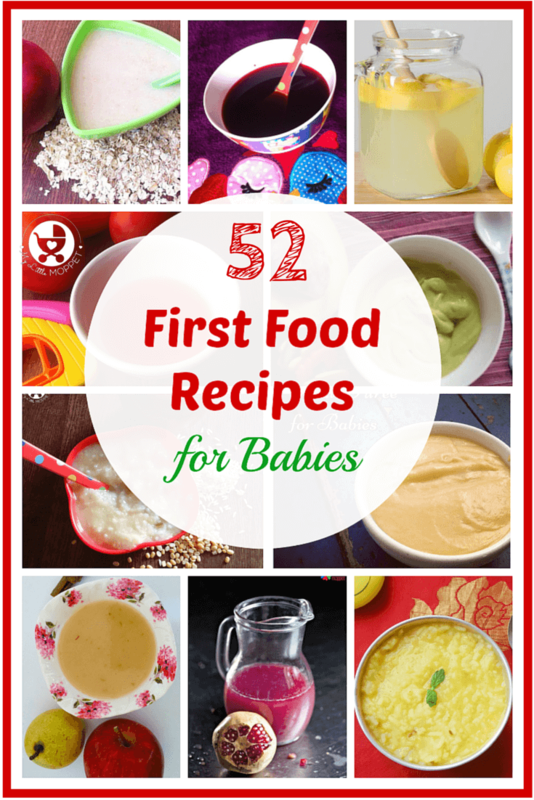 So, as a solution to all your problems, we’ve drawn up this ultimate list of 52 first food recipes for babies, thinking of Moms just like you! Just click on the name of the dish to go to the recipe. And no, you don’t need to visit any gourmet supermarket for these; your regular grocery store will do. So let’s get ready to start feeding your little eager beaver! We’ve split the entire list of recipes into type, so it’s easier for you to search for what you like. As for breakfast, lunch and dinner, babies are pretty flexible, so you can feed them any dish at any time! 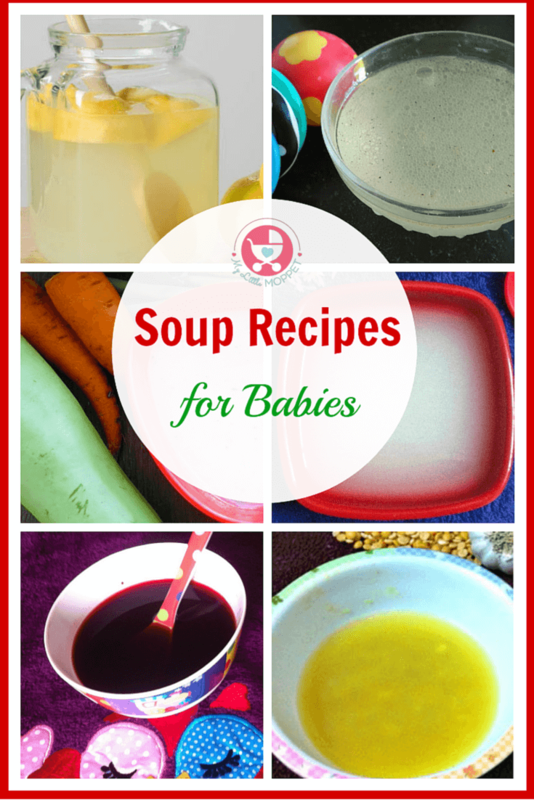 Soups are a great idea to feed baby when it’s not yet meal time. He’ll feel full, but it wont’ affect his appetite. 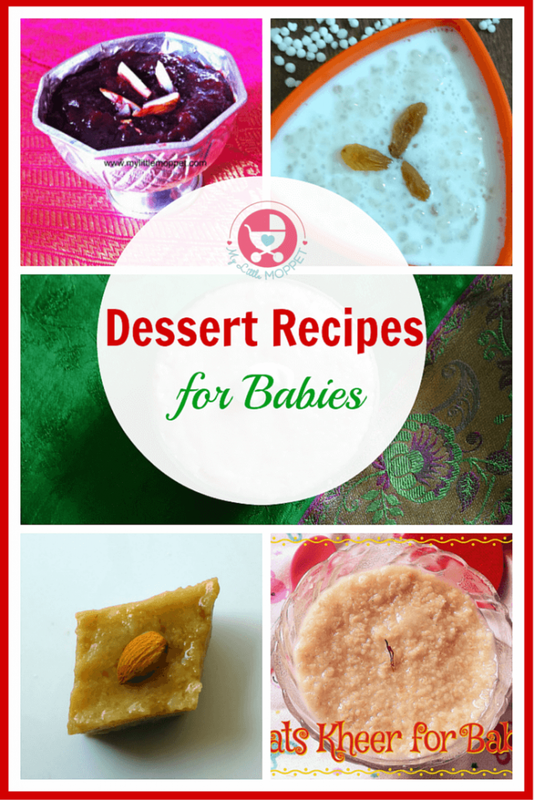 Experiment with the spices to find your baby’s sweet spot! 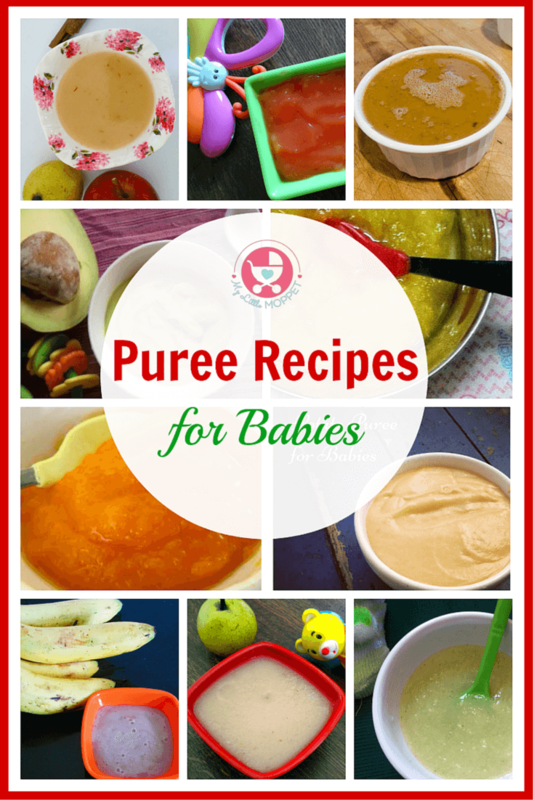 Purees have been baby’s first foods since time immemorial!! Start out with really smooth purees, and as baby grows, increase the chunkiness slowly, so that she gets used to real ‘solid’ food without any fuss! 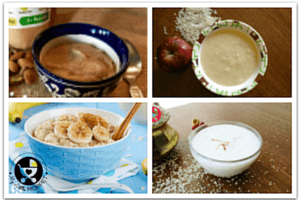 Many people think of porridge in term of oats, but there are several ways to make it!! 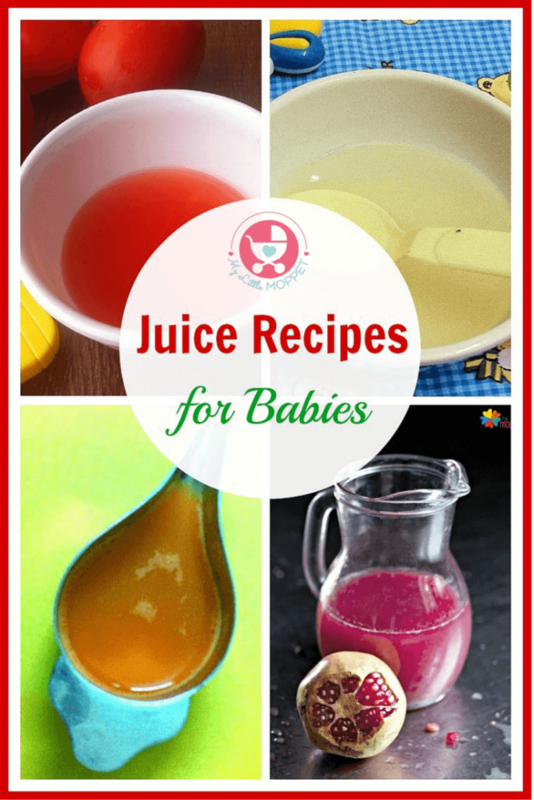 Here are some sweet and savory recipes that most babies are sure to love! 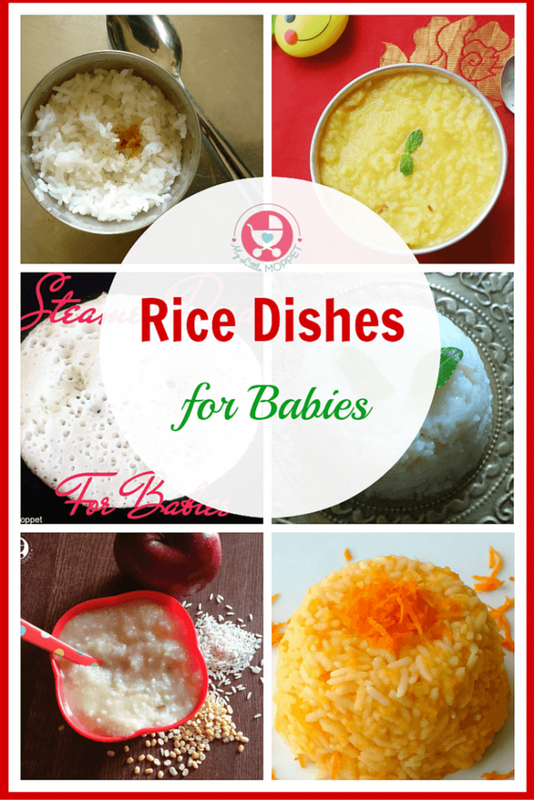 When your baby is used to purees, you can begin feeding him well cooked rice, an ideal form of which is khichdi. 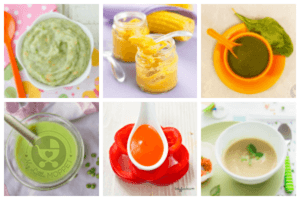 It’s a great way to introduce baby to foods that are not just smooth pastes. 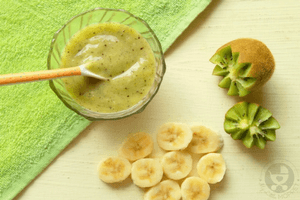 Freshly squeezed juices are the perfect way to get the nutrients of fruit and vegetables, and are also a great way to rehydrate especially during the hot months. Start out with very small quantities though; fruit juices are higher in sugar than just fruit. Even babies need a treat! Forget ice creams that contain all kinds of preservatives, and opt for healthier home made versions. During summer, these can also be chilled before serving. Stocks are very useful to add to various dishes to increase the nutrient quotient along with flavor. 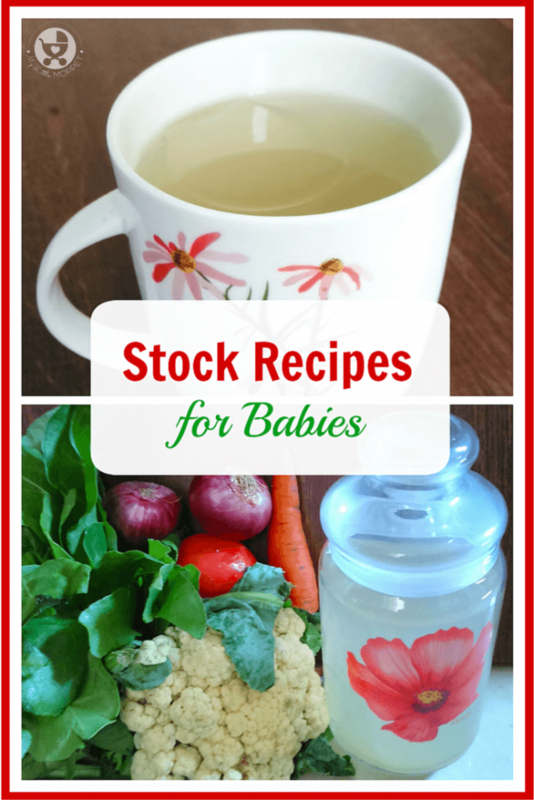 Avoid the use of salt so that baby gets the true flavor of the food you’re making the stock with. Well, we’re pretty sure that covers all the basics!! 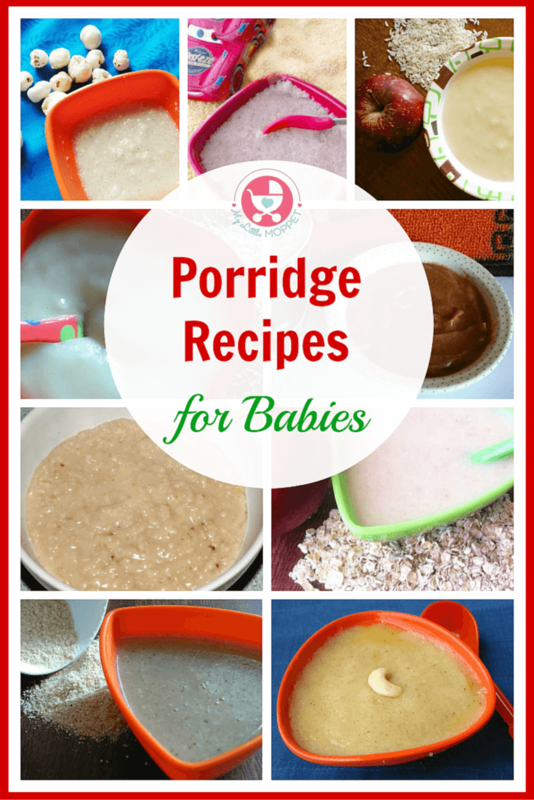 Now you can create a wide and varied menu for your baby – one that is wholesome and healthy and so easy to make! 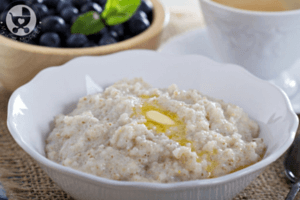 If you have trouble creating your own menu, check out our baby food charts here. And yes, you can always buy homemade instant mixes for your baby from the My Little Moppet Store! You can also download these recipes as an ebook Here. Hi Dr. My daughter is 8 months old and her weight is 6.8 when she born her weight was 2.75. Doctor is saying weight is little bit on lower side. I give her variety of foods. Please suggest. She is crawling, rolling , sittiing for sometime without support. I am little worried about her weight gain. You should not be worried atall dear, she is achieving all milesstones on time and is active. This itself is a reason to celebrate. Continue feeding her a balanced diet and she is fine. My baby girl will be completing 6 months on 4th November 2016. It would be great if you can provide me with some food planner. She is an exclusively breast fed baby as of now. My baby will be one year old after two weeks.I am still bf along with complimentary foods,also giving him rice khichdi.But he gets extremely gassy if I add lentils to khichdi and cries at night.I want to give him lentils.How can in start lentils again without him getting gassy. Also when should I start giving him cows milk.I am planning to bf till he turns 2 or if he stops by himself. mrng breakfast idili/nestum rice/seamia upuma/kanji..
evening snack carrot/omam biscuit/marrie biscuit/digestive biscuit…. dinner same as breakfast.she only taken Breastfeeding milk…. My 7 month old son keeps demanding feed nearly 6 times in the night.. I am giving him wheat or rice porridge of about 200 ml. I thought it was growth spurt but it’s happening since 1 n half months.. Earliee he used to take only 3 feeds. Help me out . I feel if something could be wrong with my meal plan. Hi my baby completely 5th month now 6th month is running .i need food chat based on my baby age…. My baby has completed 3 months yesterday, could you please let me know whether can I start soups/daal ka paani besides breastfeeding since I will be joining office by next month & I won’t be able to breastfeed him for around 12 hours. Please advice which soups / khichdi can be introduced to him by now? Thank you so much for the recipes. As a first time mom to 6 month old twins living in the US..your recipes are a huge help. I just started with purees for my twins this week and had a couple of questions. 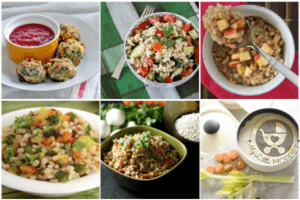 I would like to incorporate fruits, vegetables and grains in their daily meal plan. Can you please assist me to customize it with a menu planner? I started with sweet potato puree for 3 days and now they are having apple puree. I went through your food chart and menu planner.. If i am waiting 3 days before introducing a new food item..it will be months before i can use your 6 month babies food planner. Which is unfortunate as your planner is exactly what i was looking for. How do i use that planner while at the same time ensure that there isn’t a allergy to the new food? I hope i was able to phrase the question i had on this.